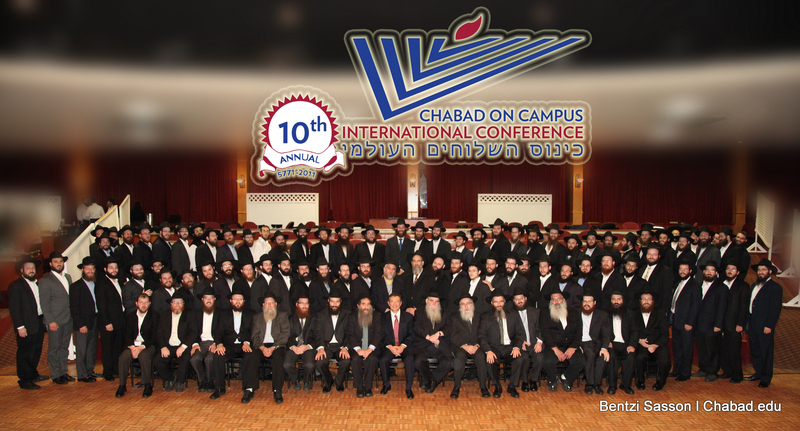 Over 250 Shluchim and Shluchos along with 300 of their children are now reaping the benefits of the 10th Annual Chabad on Campus International Conference, held in upstate New York last week. Over four days, the schedule was filled with classes, seminars, farbrengens, lectures and activities for Shluchim and, separately, Shluchos covering every topic from chinuch and sholom bayis to fundraising, social networking and organizational mosad management. Calling on the talents of over 80 volunteers and staff, the Conference is a project of the Chabad on Campus International Foundation which serves as the nerve center and home base for the over 160 Chabad centers on campuses worldwide. The theme, “Chazak, Chazak, V’nischazek,” was felt throughout the entire Kinus. All participants were truly strengthened throughout the four day conference. The Conference highlight for 300 strong attendees had nothing to do with Chabad House operations. Instead, it was the day camp. That’s right! Over 300 kids k”y were part of a meticulously planned day camp. At the executive closing session, participants heard from Chabad on Campus Executive Vice-President Rabbi Yossy Gordon, who emceed the session, Chabad on Campus Chairman Rabbi Moshe Kotlarsky, and Chabad on Campus benefactors Mr. George Rohr and Mr. David Slager. Mr. Slager was introduced by Rabbi Eli Brackman (Shliach to Oxford University and member of the Chabad on Campus Executive Committee) and Mr. Rohr was introduced by Rabbi Nechemia Vogel (Shliach to Rochester, NY and member of the Chabad on Campus Executive Committee). This memorable event was arranged by Conference Directors Rabbi Moshe Chaim and Mrs. Nechoma Dina Dubrowski and was chaired by Conference Chairs Rabbi Dovid and Mrs. Goldie Teichtel (Shluchim at University of Illinois) and Rabbi Asher and Mrs. Devorah Leah Yaras (Shluchim at University of Rochester). At the close of the Conference, Rabbi Dubrowski expressed gratitude to all the staff and volunteers as well as the Shluchim and Shluchos on the organizing committees.